Here comes a new Cognac: Courvoisier Extravagence is part of the cognac house's Paris edition. This edition stands for delicate and fruity taste - a beautiful explosion of lemon and orange, but not "too much". You can also use this Courvoisier cognac for very special mixology cocktails, but we'd recommend to taste it neat. 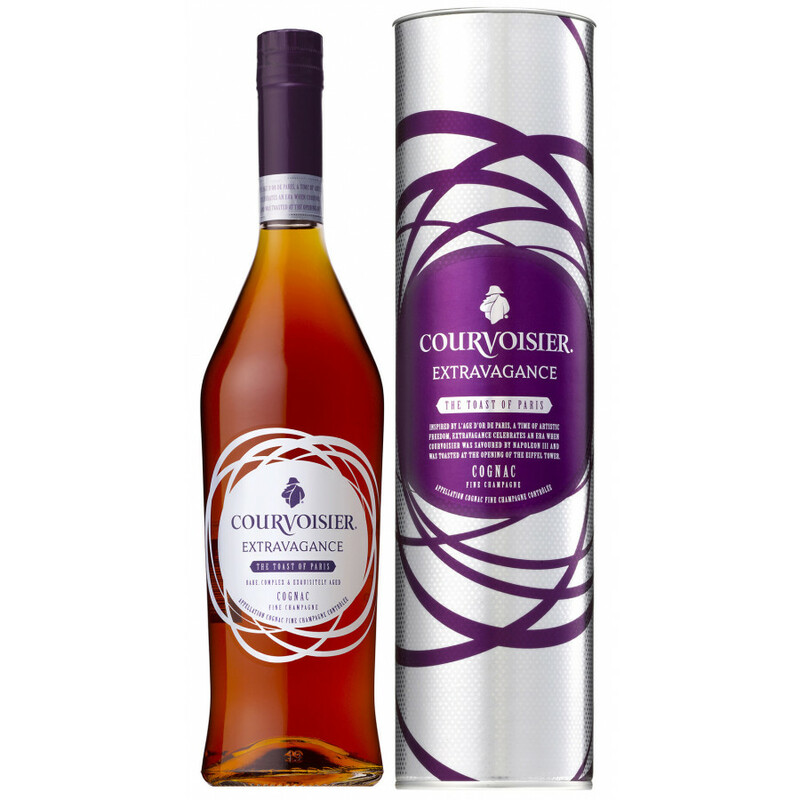 Awards: Cognac Courvoisier Extravagance won the SILVER MEDAL International wine and spirits competition. "The elegant bottle and presentation tube feature an impactful Jarnacaise-style foiled design inspired by the immense and intricate steel and glass structure of the Grand Palais in Paris. Not sure if either my taste buds are shot to pieces, the other reviewers above are or I have something completely different in my bottle, the most prominent taste I get from this one is black liquorice or may be a condensed cooked current (the inside of an Eccles cake without the sweet pastry comes to mind), something which I normally don't like but for some strange reason I don't find offensive in this case, if I'm truthful it's well over priced, considering an XO isn't much more in price and other producers 'next level' Brandy after their VSOP is normally no more than £50, I haven't put many stars up for nose as I don't have a very good sense of smell and all I get is a harsh blast of alcohol when sniffing. A very affordable alternative to other XO's with identical boldness in taste and palate receptiveness. cannot really agree with Jordan here. I'd say the nose is the most interesting part here, but finish and palate are quite okay. nevertheless, the price is totally fine. If you like delicate, full, rich Cognac with citrus notes.. that's the one to go for. The value for money is fantastic, the packaging super retro. Fell in love because of taste though.